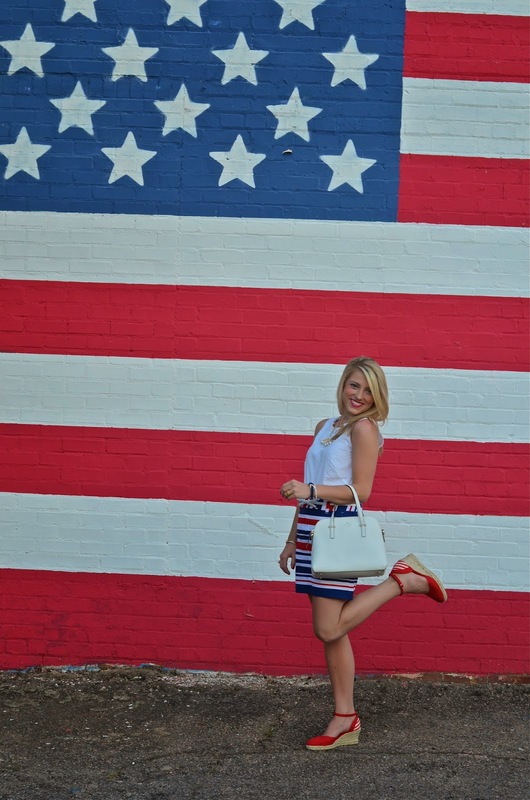 To say I'm looking forward to July 4th is definitely an understatement. I am so excited for the long awaited day to finally be here. There are two outfits I am deciding between for that day, and this is one of them. 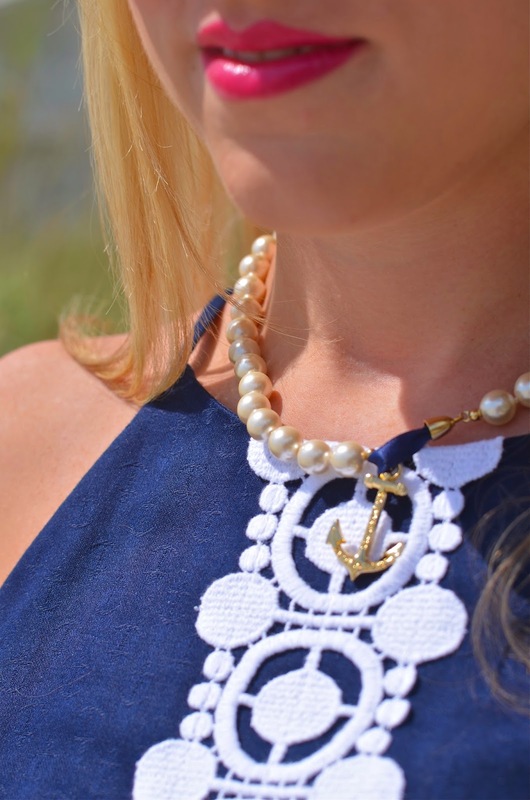 This top from Vineyard Vines has been a popular piece in my closet this season as I have paired it with so much. 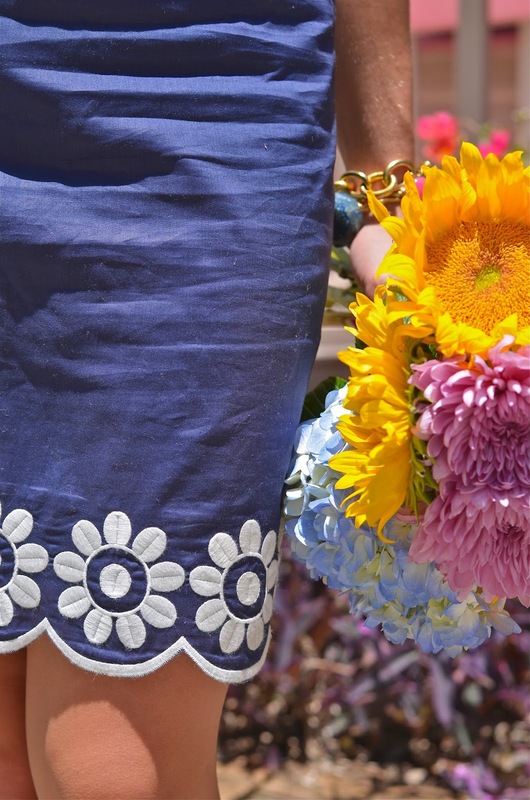 When I saw this skirt, I knew I just had to have it! 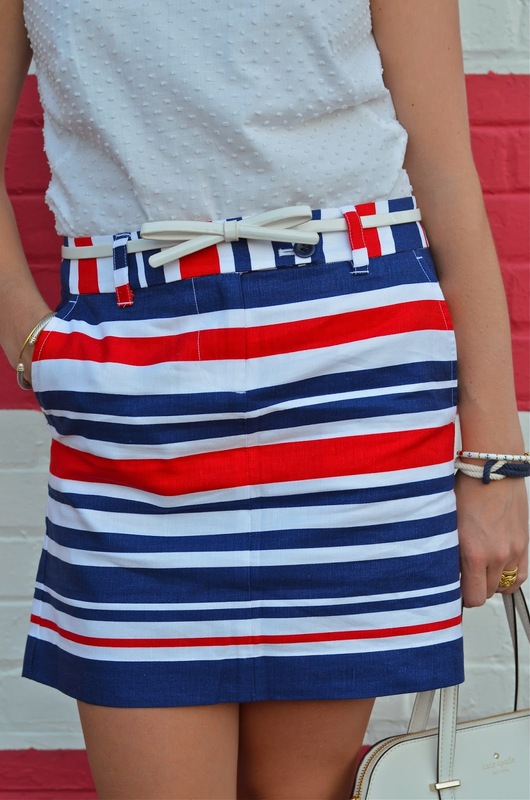 I will be sharing my other possible look for The Fourth in a few days. 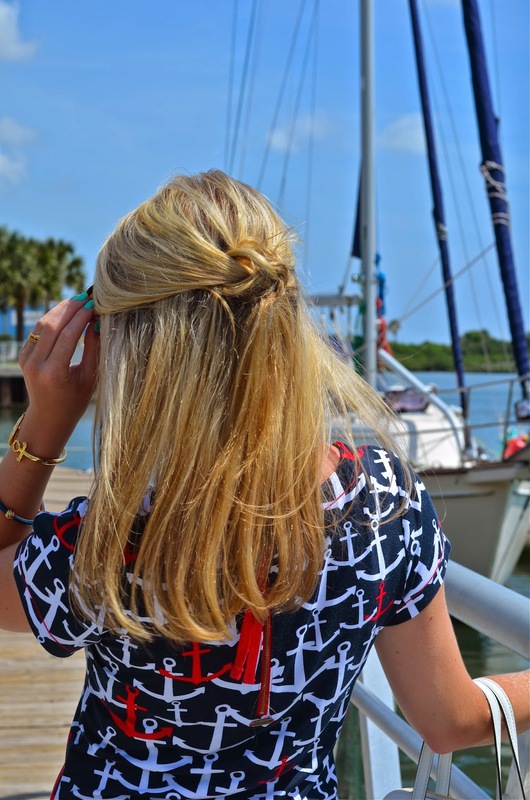 It just may have a nautical twist to it (big surprise, right?). 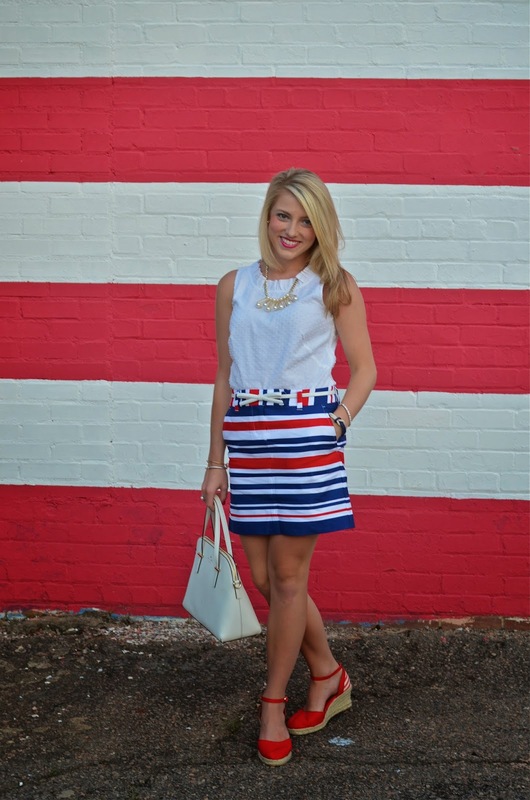 What patriotic outfit are you planning on wearing for the 4th of July? Wishing everyone a great start to a new week! I have an interview this morning, so please send some good luck vibes my way :) Stay Tuned! P.S. 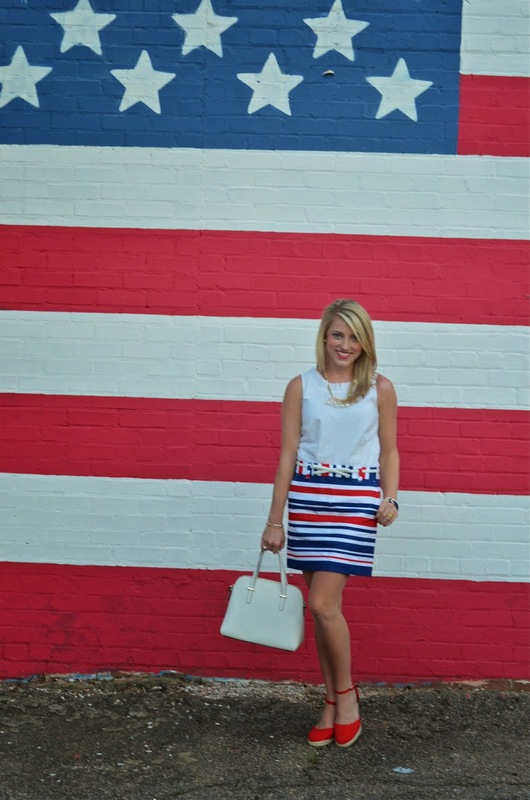 Vineyard Vines is taking an extra 30% off their already reduced items. Be sure to check them out! I am swooning over these rain boots. 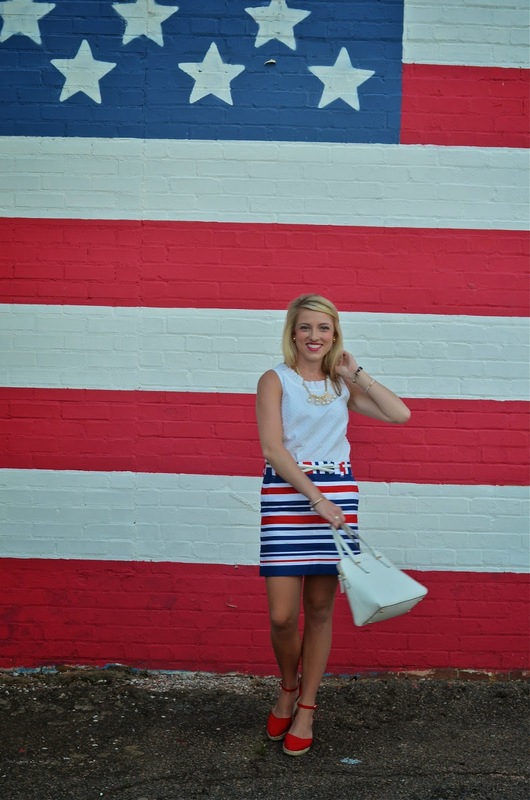 And now…here's another fabulous navy & white look from the darling Kate who blogs over at A Lone State State of Southern. Don't get me started on the perfection of this outfit! I adore how Kate tied the navy and white gingham shirt (I am completely obsessed with gingham…love it, need it, gotta have it) over the white dress. It is such a clean summer statement. Don't you just love her look as well? 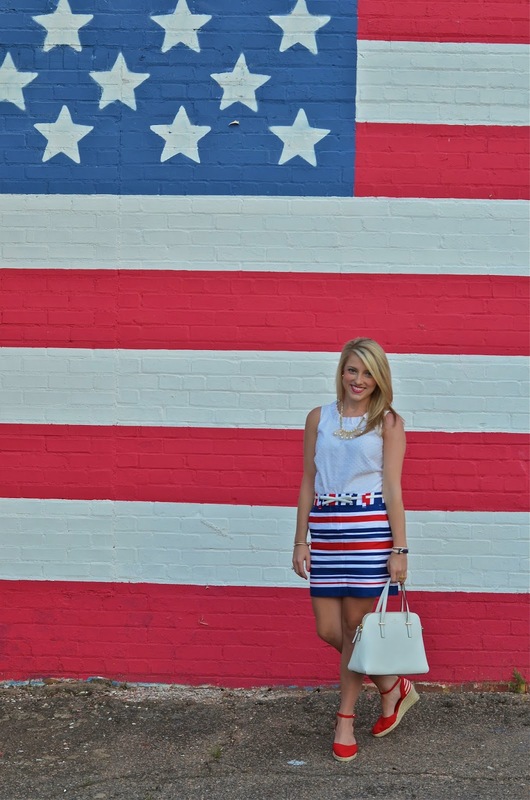 I hope y'all are enjoying this week of all navy and white looks. Stay Tuned! It's such an exciting time of the year. Yes, it's time to choose your next agenda. This is such an important decision…seriously. I don't know about you, but I'd be lost without my planner. I'm definitely more of a hand-written kind of girl. I have to jot things down on paper in order to remember them, so using the calendar on my smart phone would never suffice. 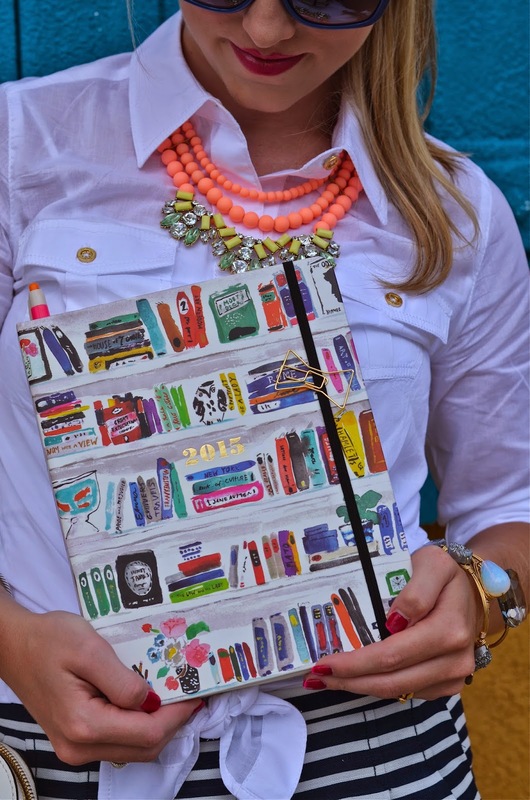 What I love about the Kate Spade agenda: First off, just look at this print! The Bella Bookshelf print won me over. The print could be best described as whimsical shelves of colorful books all arranged in a darling fashion with a fish bowl here, a flower arrangement there, it's just too cute. It is exactly what I'd like a book shelf to look like. 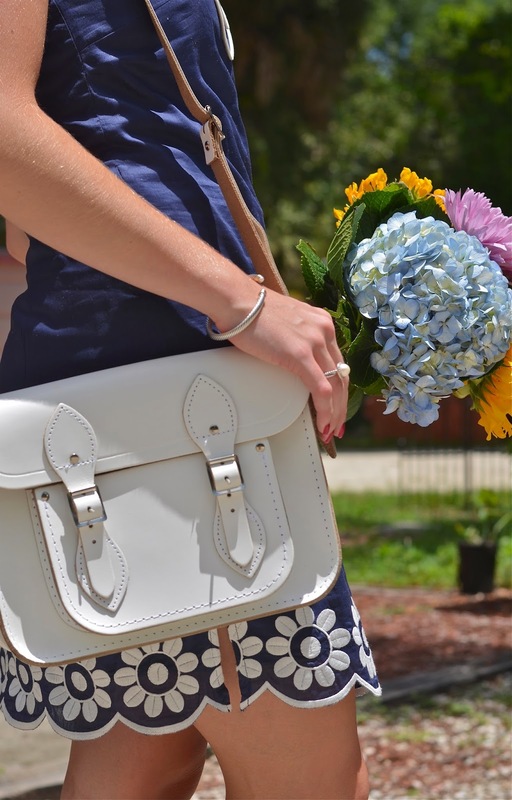 To top off the adorable print, the inside lining is gold foil polka dots. I love how the agenda gives you a list all the holidays. I also adore how each month starts off with a little saying. They most definitely remind you to take notice of the little things in life even though your goal is to write down every detail to remember the big picture. Most importantly, this agenda has a detailed section for each day of the month. This is a must for me as I write down my "goals for the day" here. I also love how there is a section designated for writing down the celebrations of the year. This is where I like to list birthdays, special occasions, anything that I need to remember to buy a card or gift for. As always, the very first thing I like to do with my new agenda is write down my birthday. This is the way I make it officially mine :) Sorry for all of the jibber jabber, but I just had to share my thoughts in detail. 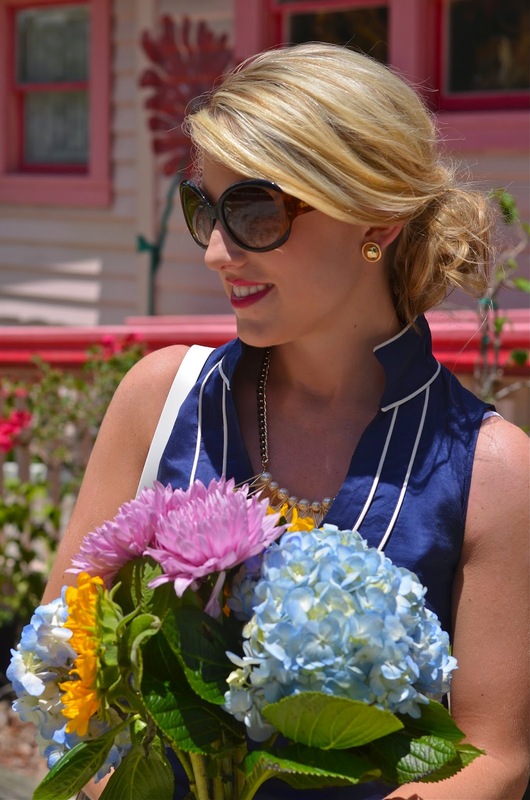 The Kate Spade 2015, 17-month agendas start in August. They are available in (1 / 2 / 3 / 4) different prints in both large and small sizes. They're just in, so order yourself one today! And don't forget the fun little accessories like bow paper clips, pens, sticky notes, etc. to go along with your agenda. 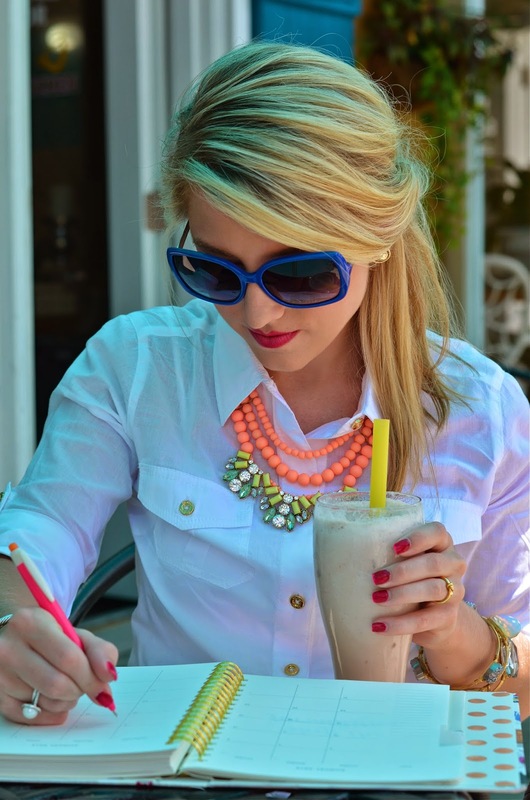 What do you think of the new Kate Spade agendas? Thank you so much for reading! 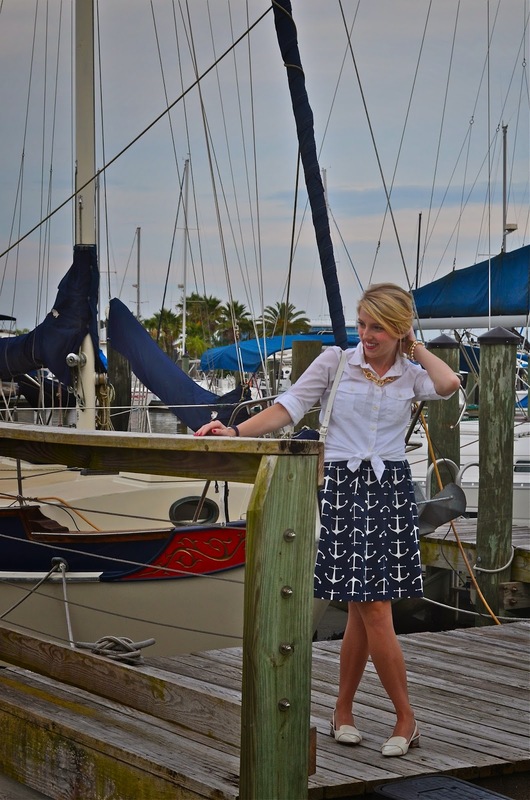 Also, continuing on with Navy & White Week, I'm wearing my favorite pair of J.Crew Factory shorts. They're so comfy and I love the way they fit. 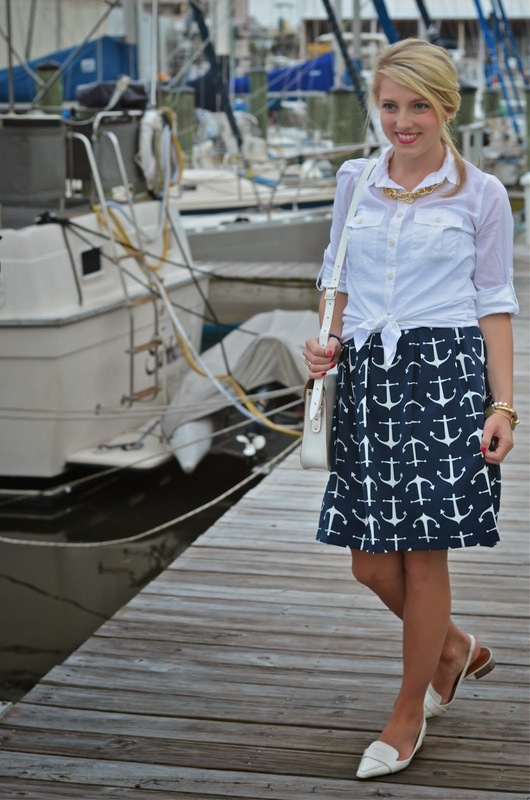 Be sure to see another navy & white look from Julia, who blogs over at Lemon Stripes. I absolutely love her Instagram! She's full of inspiration and always a bright spot on my feed. 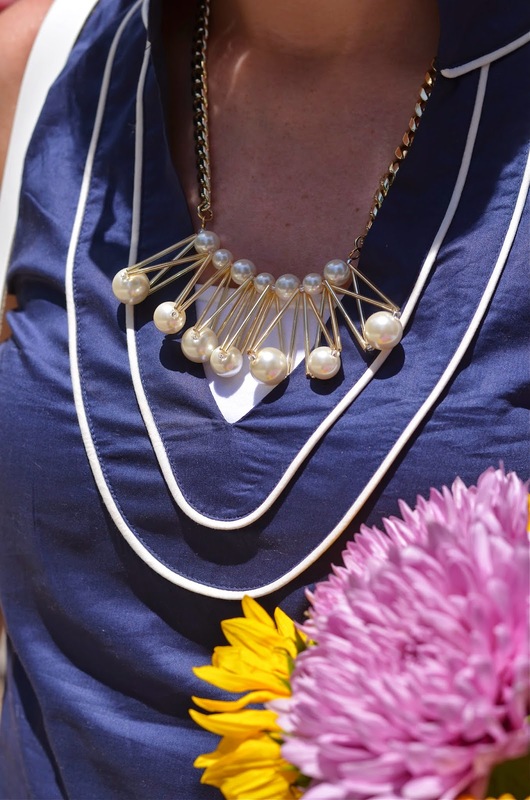 Today's navy & white look consists of scallops & blooms. 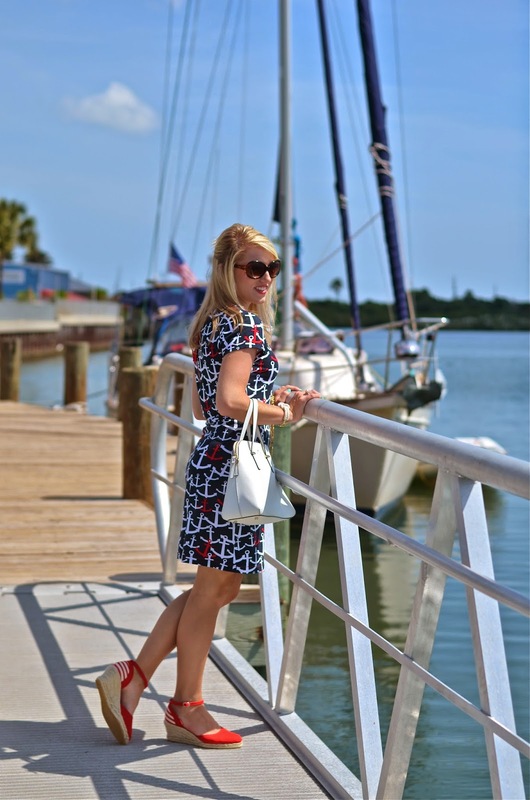 I absolutely love this Sail To Sable Dress. 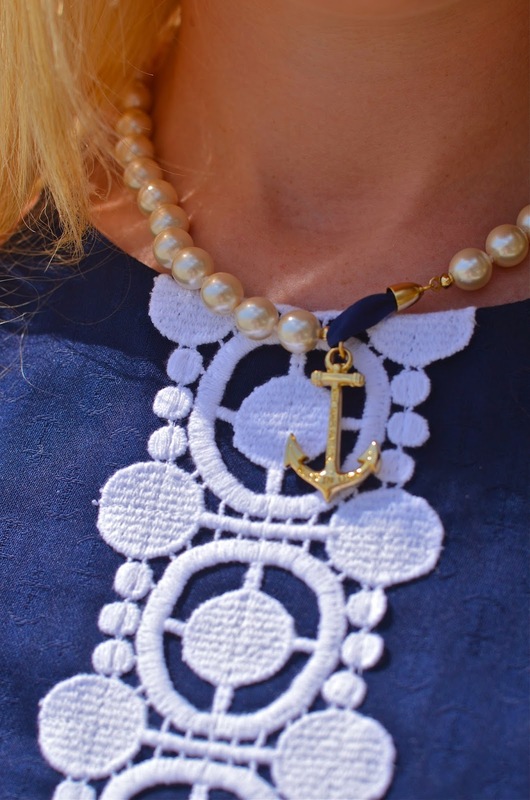 The scallops and flowers are darling, and the fact that it's navy & white makes me even more excited. Also, give me hydrangeas, and I'm one happy girl. 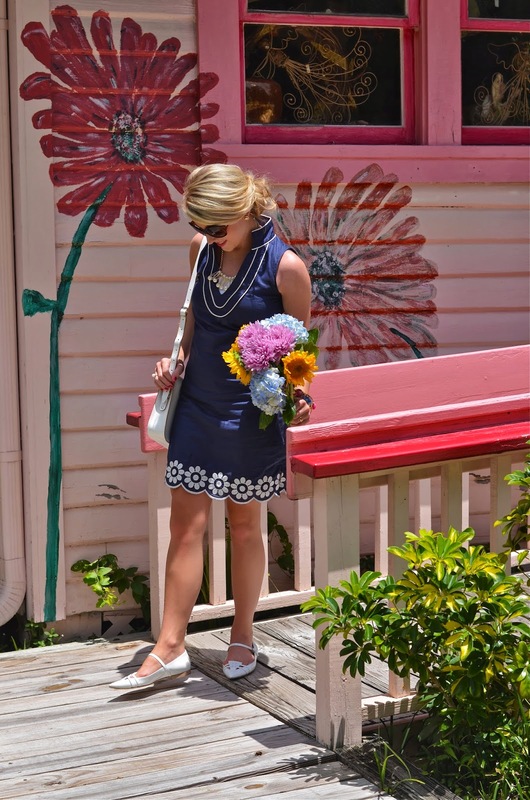 Be sure to see a navy & white look from Sydney over at Summer Wind! 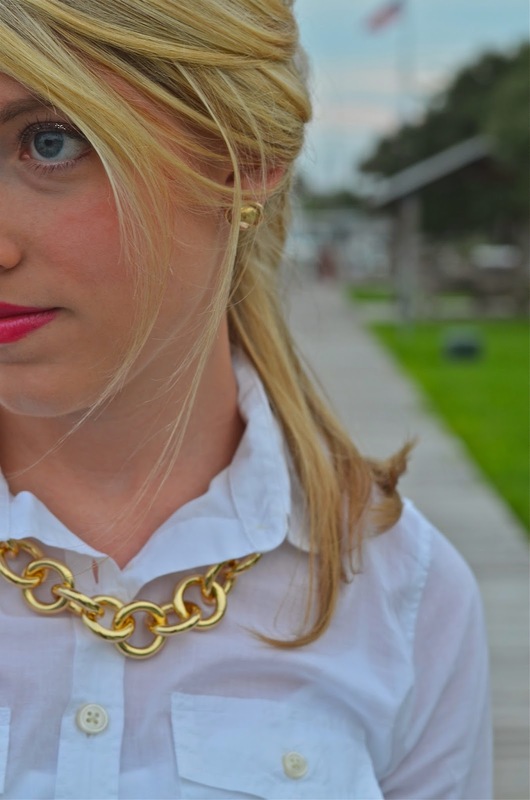 She is such a darling girl with a great sense of style. 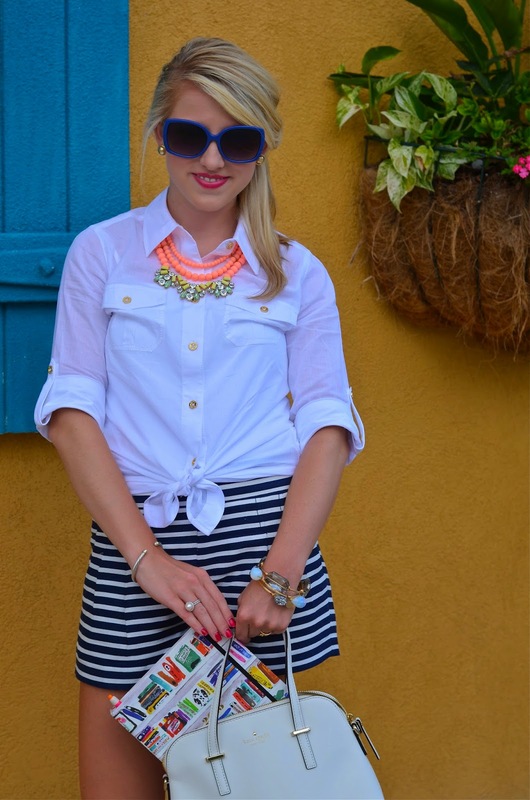 Just see how she paired her navy & white with a pop of red and yellow (dying over the lemon clutch!). Happy Monday, y'all! I'm so excited to start off this blogging week. 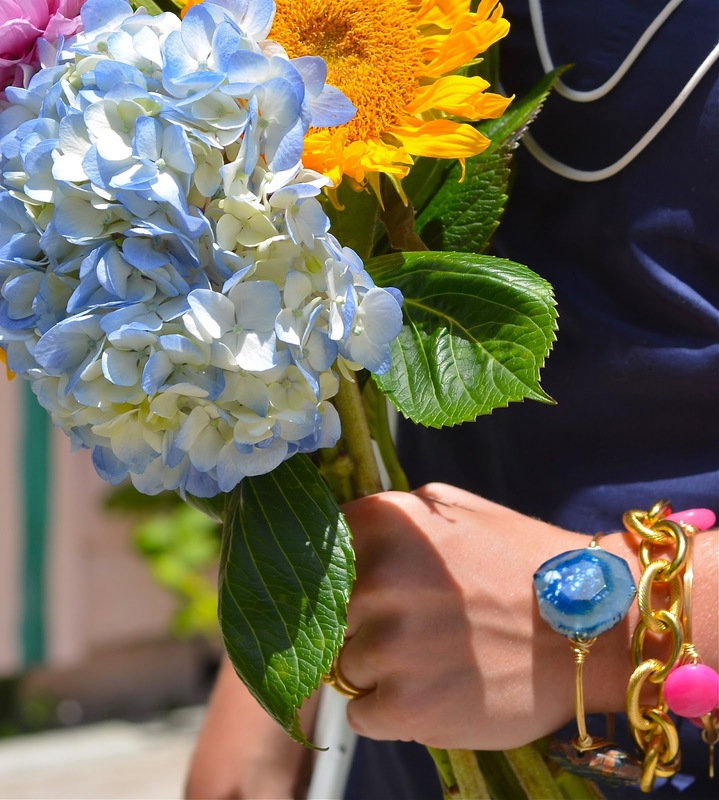 It's officially summertime, and the temperatures are high. 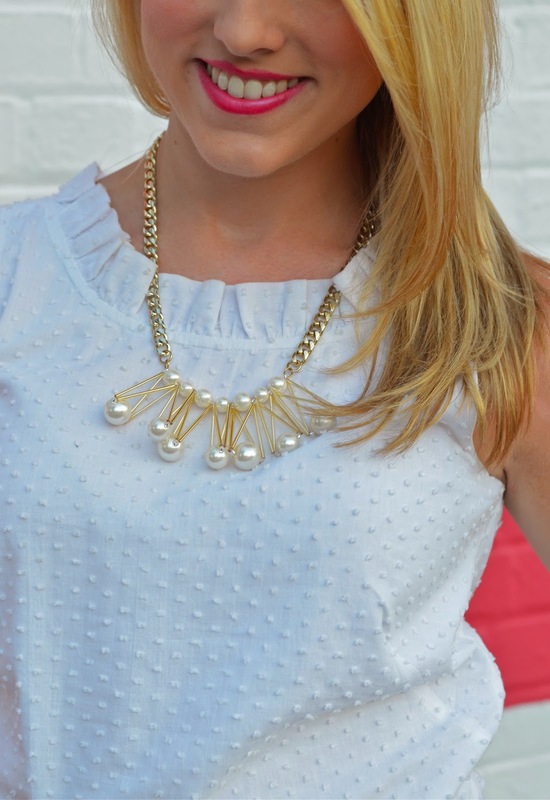 Especially when it's this warm outside, there's nothing I love more than a navy & white look. 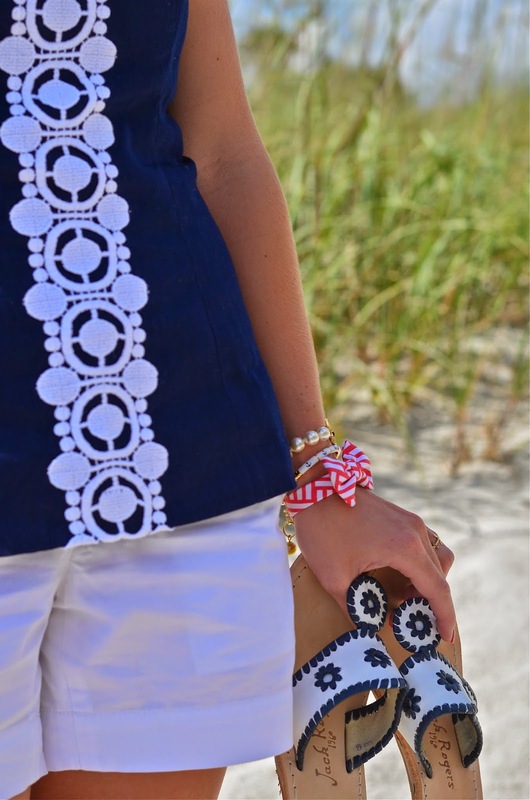 It's clean, timeless, classy, and even though it's scorching outside, navy + white tends to set a cooler scene. 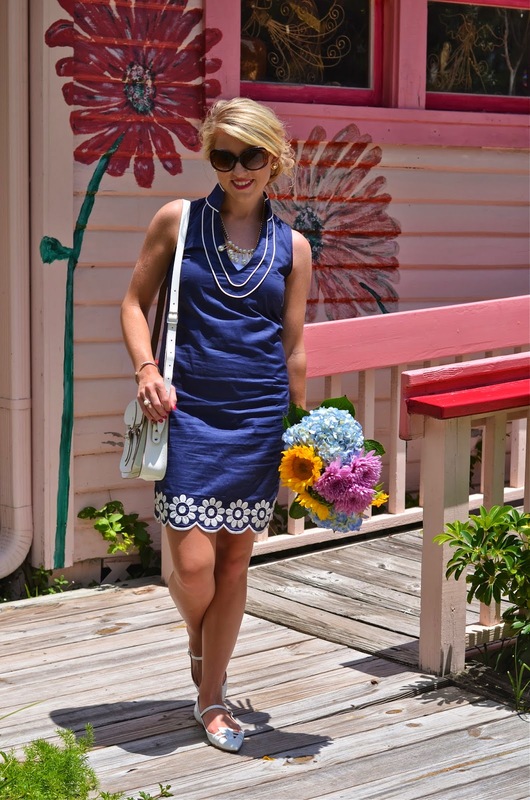 This week, I will be sharing several of my favorite navy & white looks on my blog, social media, and sharing some navy & white looks from a few of my favorite blogs. 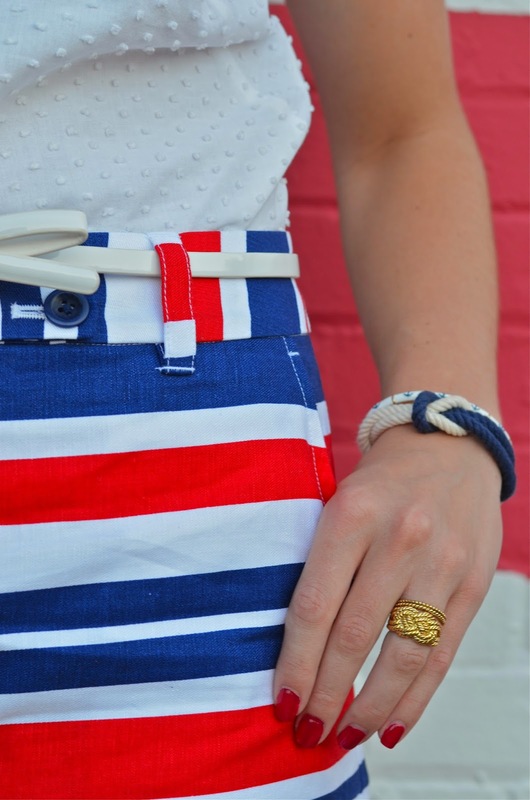 With July 4th being a little over a week away, navy & white (with a few pops of red) is kind of perfect, in my opinion. 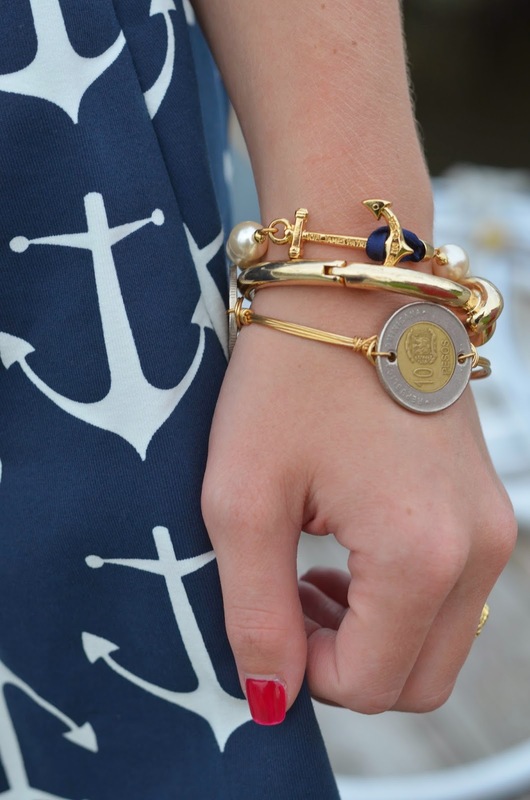 I'm so excited to get my navy & white on. 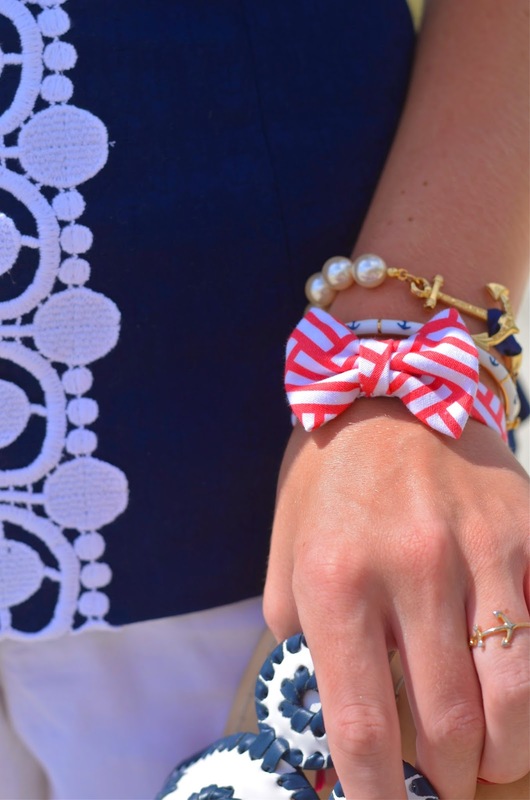 Do you love navy & white?